The Samsung Galaxy Note 2 smartphone is the company’s latest Android device, which was first officially announced at the IFA 2012 conference in Berlin, Germany on August 29. The device is the second of its kind for Samsung, the first being the original Galaxy Note which exceeded many critics initial expectations. Users of the current Galaxy Note may be wondering if they should upgrade to the Galaxy Note 2 when it’s released later this year. The original Galaxy Note packed a gorgeous 5.3-inch display; however, the Galaxy Note 2 is rocking a solid 5.5-inches worth of Super AMOLED screen real estate. The other big change here is the screen aspect ratio, which has been changed from 16:10 to 16:9. The Galaxy Note 2 is a speed demon when compared to the original. This baby is blazing with a 1.6GHz quad core processor, while the Galaxy Note could only manage a 1.2GHz dual core processor at the helm of things. If you are truly considering taking the plunge in upgrading to the Galaxy Note 2, then a faster processor should sway you over. Samsung went all out with the Galaxy Note 2; the company slapped the device with 2GB worth of RAM, a 100 percent increase on the RAM in the original Galaxy Note. It’s funny, because many computers these days are still packed with a 1GB RAM. 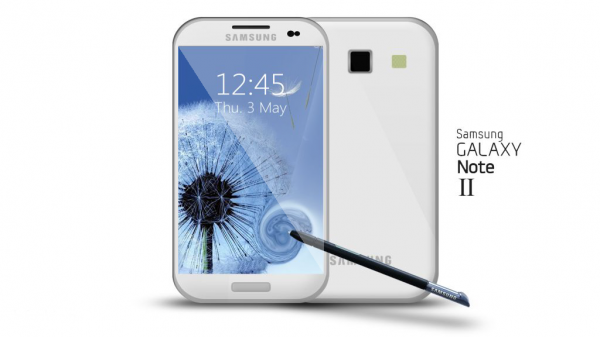 The existing Galaxy Note has an 8 megapixel camera and rumors have indicated that the Galaxy Note 2 may ship with a 12 megapixel camera and improved optics. The first thing an user will notice of the Galaxy Note 2, is how similar the design is to Samsung Galaxy S3 smartphone. The Galaxy Note 2 will be fully 4G LTE enabled for lightning fast download speeds.